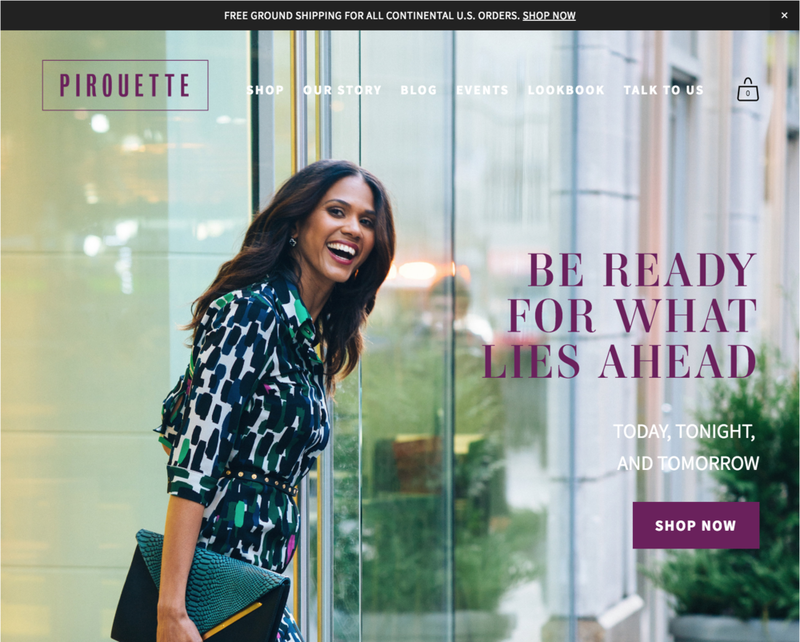 Melissa Lorenzo-Hervé and Kate Bally contacted me (January 2018) for a website to launch their clothing line, Pirouette. Pirouette fashions are designed for versatility, wearable day and night, using the highest-quality fabrics and handmade in NYC. 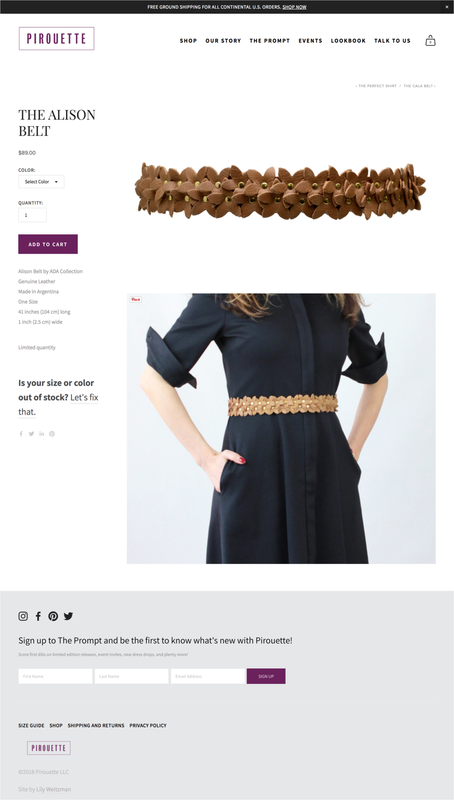 Pirouette was referred to me by Lisa Danca of Sperling Interactive because Pirouette was looking for a Squarespace site at the time (one of my specialties) and the scale of the site was on the smaller side for them. Pirouette had just completed a branding initiative with Hugo Collective and so it was really fun to bring the brand vision to life online. One interesting development to share is that we launched the site in April and as of the end of June we are migrating to a new platform (Shopify) in order to maximize their online marketing tools and integrations. We did a quick pivot to meet Pirouette's business needs. I'm looking forward to a long-term relationship growing and evolving together. Please see below for a testimonial and samples of the work.